Deep within our hearts, we’re all in anticipation for that unquestionable connection with the Divine – the moment that sparks our heart when we feel that deep connection and we feel Alive with the yes — “Yes, that’s it”… I personally love that feeling. Unfortunately, there are Invisible Invasive energies that are sabotaging your energetic systems, that are negatively impacting your capacity to feel the depth of connection, grow out of your old belief systems and that create physical, mental and emotional disintegration. Your Soul structures begin to fail in their capacity to ‘handle’ the foreign energies and suffer. Archangel Metatron’s Cube has revealed to me, in sessions, that these invisible saboteurs causing disintegration are energetic invasive Hooks in the immune system, lymphatic system, endocrine system and Bone marrow. Archangel Metatron shared with me some insights into our Natural expression as holistic human channels of RADIANT light vs. our UnNatural expression as Enmeshed vibrational entities living a trapped existence. We all have various levels of energetic disintegration due to the hooks that have snagged us in this or other lifetimes – even parallel lives. Until these invasive hooks are removed and transformed you cannot fully heal or integrate your Soul’s energy. When hooked, your physical, emotional and mental health is interfered with and becomes fatigued, sluggish and lacking a real foundation of vitality in your body. The ‘negative’ energetic snags from these invasive hooks create deterioration in your chakras – moving them backwards even, your immune system suffers, which can cause a number of symptoms ranging from mental and emotional toxicity to physical manifestations such as being prone to viruses, infections, illness and disability of varying degrees. By removing the invasive hooks (sharp/hard calcified barbs) and healing the surrounding areas of knotted tissue in your energetic systems at the Holographic level, you can permanently clear the energetic imbalances responsible for your symptoms, claim freedom of your Soul and instantly increase your vibrational resonance for Expansion. 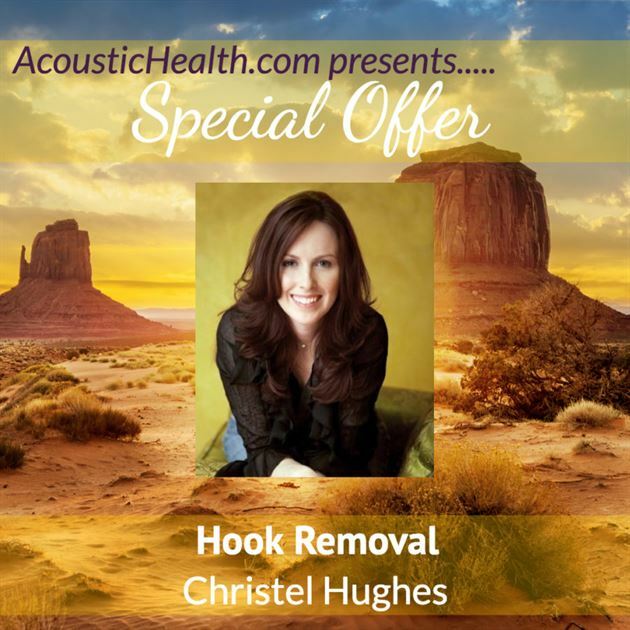 The Holographic hook removal is powerful, rejuvenating and effective. You can live as the Whole, RADIANT, Integrated CHANNEL with a GREATER capacity to Expand just as you’re meant to BE. You become the Holy Grail, a Divine Illuminated Vessel for Divinity. WHAT HAPPENS IN THE 11:11 HOLY GRAIL ACTIVATION SESSION? We will travel to the 5th dimension where I will access your energetic structures, neural patterns, DNA, auric field and Light body Holographically. Your Higher Self will inform us of the major Invasive Hooks that are impacting the immune system, pituitary gland, thymus & pineal gland (endocrine system) and that are inhibiting the neural patterns and flow for forward movement. Metatron’s cube, your Higher Self and I will remove the major Invasive Hooks that are snagging your aura and holding you energetically captive. ‘Collapse the incompletions’ and attachments keeping you from completing on major issues and relationships that need to be healed so you can ‘close the loops’ and become the Channel of Radiant Light. Extract the necrotic energetic tissue (surrounding the invasive hooks) that is causing deterioration of your chakras, energetic structures, light body and having you unstable and ungrounded. We will also heal the Parallel lives so that you can reclaim all of your Souls energy and use it for Expansion. Finally Release the mental and emotional toxicity that has you feeling disconnected and confused as to who you are and what your purpose is on this Planet. Archangel Metatron and Metatron’s cube will encode you with the Sacred Geometry Light codes for Becoming the Holy Grail within to be energetically available as a container of Radiant Light and a Master channel. Shift your energetic constitution so you are being moved into the direction of what needs to be created through you – SACRED ART. Your intuition is gaining liberation from limitations placed upon it from the mind that gets it caught up in all things that are distractions, avoidance, I can do it later…THERE is NO Later! When you are set free from your past, past life, and parallel life incompletions, you are able to expand and become Radiant, Illuminated and Liberated ~ Your Soul can Soar! Holographically prepare your body systems, mind and emotional auric energies to receive Metatron’s cubes high vibrational energies for the Holy Grail Activation & Parallel Expansion. This will be a Divine exploration of the 6 pointed star as the lower and higher triangles meet within. As above…So below… to have you claim your True existence in the higher realms and actualize that Truth here on Planet Earth. Download the vibrational frequencies into your etheric body as a primer to receive layer after layer of energy that will begin to dissolve the mucosal sack of the necrotic tissue surrounding the invasive hooks. You will be guided to the Golden Grid of Grace to set your intention to detach, complete, transfigure and recalibrate as a Holy Grail container for Divine Radiance to channel through you. Amanda Hopkins, Medical Intuitive, Clairvoyant and Academy Master Teacher is an expert in the Immune System functions. In this Live Intuitive Reading session you’ll get a personal reading by her on your Primary point of resistance to the Holy Grail Activation – specifically reading your thymus gland, pituitary gland and pineal gland. Amanda will be sharing the primary energetic themes that inhibit proper physical function within each of these glands. She’ll identify which of these glands is retaining the greatest level of dysfunction and prevents you from attaining Higher levels of consciousness and Divine energy flow. This is imperative because each cell holds its own unique Divine purpose. When any single cell is severed from Source, it creates mis-communications and the insight and Higher Knowing that’s coming in becomes misconstrued. When this happens the energy within the cells gets clogged, bogged down and the cells of your body can even change form. This density will prevent you from receiving the High levels of light energy that are designed to flow in through the Holy Grail Activation so Amanda will be providing the insight you need to release those blockages. In this way you’ll be open and available to receive those Highly potent energies that will not only shift your energy but have a profound physical impact as well. Christel will be present on the call to create a Sacred Container, calling in the Archangels and holding space for the intuitive readings. — You Become Sacred Art expressed as the Divine! Through ancient technology, the life-force in the body is awakened, the Intuitive gates unsealed and the sublime flow of the Infinite can be experienced through your own body and mind. This mystical science using Metatron’s Cube and the 11:11 Gateway has been around for thousands of years. Throughout history, it has been kept ‘hidden’ as esoteric knowledge. In our current age, it is essential that these ‘hidden secrets’ of the Holy grail within are demystified and made available to any person who wishes to experience Freedom, Radiance and Expansion into True Sacredness. This 3 part audio series will increase your capacity to become healthy by upgrading the vibrational frequency of the molecular structures in your body and Aura. Metatron’s Cube is called forth from the Higher Dimensions to increase your vitality, stamina and vibrancy. There is an intimacy that occurs between you and Metatron’s Cube as you become familiar with this Extraordinary force of restorative light. Metatron’s Cube is made up of Sacred Geometric shapes that are the building blocks of Creation. These geometric configurations are Potent energetic symbols that have the Universal Power to Transform and Transmute your energy from an unfavorable condition to one that ignites Wholeness. The pineal gland and pituitary gland play a vital role in supporting vital energy flow in the body. With this audio set, you’ll have 2 bonus downloadable audios, delivered at designated times during the program, to support optimizing your Pineal gland function and supporting regulation of the Pituitary gland. Overall these two glands are major contributors to your Endocrine system and are the ‘make it or break it’ mechanisms for your life. The endocrine system is made up of glands that produce and secrete hormones, chemical substances produced in the body that regulate the activity of cells or organs. These hormones regulate the body’s growth, metabolism (the physical and chemical processes of the body), and sexual development and function. Purifying the Pineal Gland through detoxification and decalcification supports your body helping you get ample sleep for rejuvenation and restoration of the body, boosting your immune system, and providing anti-aging benefits! As you cleanse and purify your Pineal Gland, you’ll also have greater levels of clarity, concentration and decisiveness. This is a dynamic journey and will take you to the next level every time you listen. ~ Readings on your primary point of resistance to the Holy Grail Activation – specifically reading your thymus gland, pituitary gland and pineal gland. It looked like an uninvited old record or non stop cassette. During the clearing process I asked my H. Self and our Mother God to Liberate me..and The Miracle took place! Christel, The call was Just Divine! Actually, the most powerfully beautiful clearing ever! I have so much Love, gratitude and appreciation within my heart for you! I cannot wait to work with you again! Blessing to you and yours! Moving through Infinite Intimacy had a huge impact on my life. I got clear on how my masculine and feminine energies were playing roles within me and driving the pain I’d been experiencing in my relationship with others and more importantly within myself. ;The included materials provided me with the tools I’ve needed to continue improving my internal masculine/feminine balanced energy flow, release of betrayal energy and expanding my capacity for receiving love. The readings Christel provides are priceless in their capacity for being able to feel greater levels of love within. As a result my relationship with myself is so much healthier and I’ve magnetized mutually supportive relationships into my life. It’s given me the confidence to be open with others and share what’s in my heart freely. Thank you Christel for the Metatron session. I’m really blown away how effective it was immediately. The next morning and days after I’ve experienced a deep sense of peace, beauty, and love all around me I’ve never had before. I’m making creative decisions in the moment I know are for the highest good and I’m loving people with more depth than I ever have without needing them to change anything. There’s a heightened sense of space for acceptance and no anxiety. I’m really grateful for this new way of being. Thank you! Just wanted to take a minute, to tell u that I’m soooo happy to hear that we will be able to continue to expand upon this incredibly spiritually enhancing & life changing Sacred Heart Shakti Mantra calls and Lakshmi Light Temples experience! It’s been phenomenal in ways that can’t yet be put into words; with amazing transformative powers & results (ie. synchronicities, manifestations, rooted new levels of consciousness, new “ME” revelations and magical mystical-ness all around, affecting the simplest of moments in a typical day). I’m thankful others shared their feelings about the end of this program and thankful that you are taking action! Yeah ABUNDANCE!!! I had an Intuitive Assessment with Christel at the end of last year and to say it was life changing is an understatement! My entire reality immediately shifted on its axis and spiritual gifts literally started flooding in…Truly miraculous and totally unexpected. I have so much love and gratitude for Christel and the blessings she has brought into this reality for all of us who follow her work. The Intuitive Assessment given by Christel Hughes was one of the most incredible experiences I have ever participated in. Christel has the natural ability to literally tap into your Higher Self and give these meticulous details about your gifts, how you flow energy, precisely where there are blockages and mis-directed energy flows within your Energetic Field, where your awareness is in terms of: are you living too much in the past or the future and are you stuck in your ways or too spacey. Besides the all the relevant wisdom I gained, I came out of my Intuitive Assessment session with a great sense of pride and self-confidence about my true authentic self. I feel like I have made huge progress since you did my intuitive reading! It was the most incredible thing that has ever happened to me so thank you from the bottom of my heart for flicking my light switch on. You have changed my life and I am more grateful to you than words can ever express. Christel is a brilliant light and a real pleasure to work with. At my personal session I had many ideas for my soul purpose and mission but hadn’t seen an effective way to unite different aspects. Christel held a strong and compassionate container and guided me through uncovering my soul-level gifts and seeing possibilities there that I hadn’t considered or known about. That day it felt like we breathed divine sparks over the embers of my purpose work and I was delighted at how it lit up and came to life with great new dimension. Christel’s breadth of experience, heart-centeredness, insights, and vision are remarkable and she is, simply phenomenal! I got the most amazing reading and guidance from Christel Ella Marie Hughes last night. If you really want to know what’s standing in the way of you being your most BRILLIANT and AUTHENTIC self, you should work with her! When I first found Christel Hughes, I was over-sensitive and just looking for a way to stop other people’s energies from entering my space. She taught me how to protect my boundaries and a lot more. Christel helped me open doors I would never have been able to do on my own. With her high level intuitive abilities, Christel helped me identify my blocks, clear them, as well as help other people clear their blocks. Christel has also gifted me with identifying my own intuitive gifts and setting me on a path to fulfill my purpose work. Her support has me creating in a way I would never have had the nerve to do on my own. I can’t wait for our next adventure of me introducing myself to the world! Christel’s light is so very bright—what a treasure I have found! In much love and gratitude. You are a star, shining brightly enough that those who you encounter clearly see their own paths. I am grateful that I was lead to connect w/ you. You are inspiration, even to those who inspire, and your talents are a present reminder of just how good God is. I celebrate you, I pray for you and I see the Light you. Thank you. Energetically powerful, I could feel the pulsation of the energies moving through me and to another level. Thank you so much Christel for your capacity to guide the energies.